Interested in working in Cloud Services, Technical Support & Network Solutions? Do you have Computer Systems, Engineering or Programming skills? 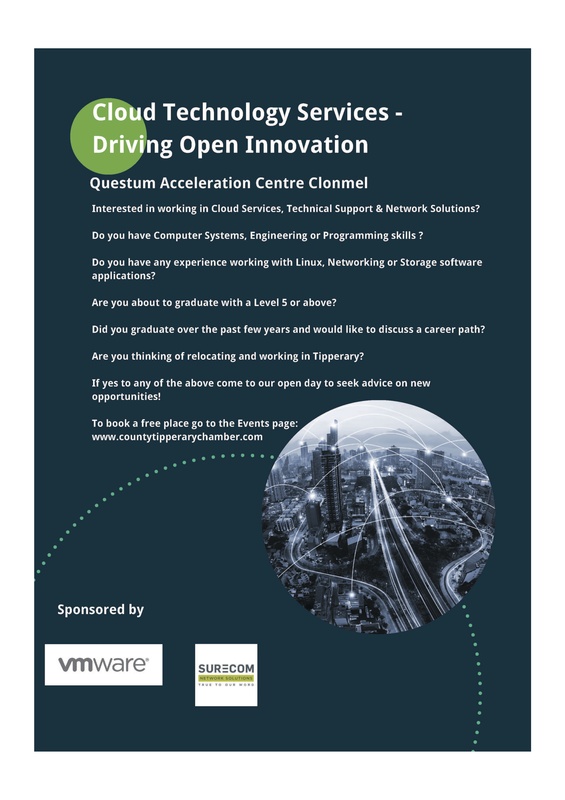 Do you have any experience working with Linux, Networking or Storage software applications? Are you about to graduate with a Level 5 or above? Did you graduate over the past few years and would like to discuss a career path? Are you thinking of relocating and working in Tipperary? If yes to any of the above come to our open day to seek advice on new opportunities! REGISTER HERE!